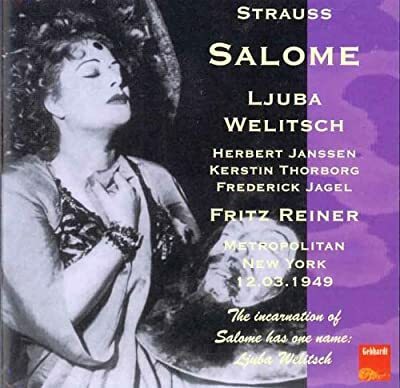 I don't know whether we've considered Strauss on record - why not start with the audio nasty that is Salome. Your recommendations? Sinopoli's. It features Cheryl Studer and Bryn Terfel at their best. I have the Solti and the Karajan. Karajan is more polished, Solti more aggressive. I like both, but play the Solti a bit more often. When all else fails, listen to Thick as a Brick. It's Karajan for me, much more sensuously beautiful than Solti, and I just can't take Nilsson as Salome. She sounds all wrong to me. Behrens makes a much more believable young princess. Welitsch was superb, especially in 1949 at the Met under Reiner, but you have to put up with not so great sound. Last edited by GregMitchell; Nov-17-2018 at 01:43. Solti, miles ahead on anyone else. Last edited by Rogerx; Nov-17-2018 at 13:31. My three favourites from best to "great", without an extensive discographic review. Well I suppose that depends on how much you like Solti and/or Nilsson. Last edited by GregMitchell; Nov-17-2018 at 13:41. If you like sonic-stage and the orchestra thrashing though the score then it's Solti - as long as you love Nilsson who sounds nothing like a 16 year-old princess. I have both the Karajan and Solti and I was pretty taken aback by the sheer ferocity of Solti's attack. He sounds like he's conducting with a scythe! Karajan makes it far more sensuous with rapturous playing from the VPO and then there is Berehns who does make a believable princess. Actually one set complements the other but I prefer Karajan as I believe this score is hot enough without heating it up more. I'm one of those who isn't satisfied enough either with the unrealistic Sonicstage or Nilsson's interpretation. It did really good in my challenge, however. Actually the picture of Nilsson the man-ester on the front of Decca's original cover gives an idea of what the Solti set is like. Obviously designed by someone from the Hammer horror films! Agree with Greg and DavidA. Richard Strauss himself preferred youthful, lighter voices for Salome. He once asked Elisabeth Schumann to sing it (though she refused). Check out the recordings of Elisabeth Schumann: she has a slender, silvery voice, nowhere near as Brunnhilde-esque as some of the singers associated with the role nowadays. About the conducting, he advised that one should conduct "Salome and Elektra as if they were by Mendelssohn: fairy music." 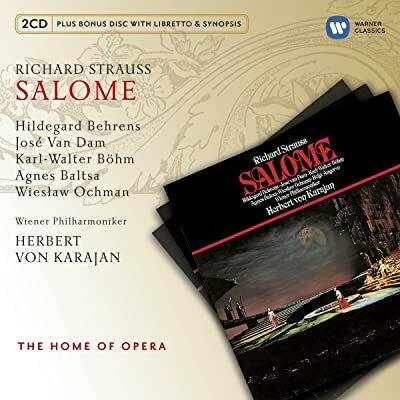 He even composed a toned-down French version of Salome (Strauss was a Francophile), in which many dialogues sound as if they are from Pelleas et Melisande. Bohm and Karajan come close to realize this, not Solti. Ljuba Welitsch/Reiner (1949). Someone, please remaster this! 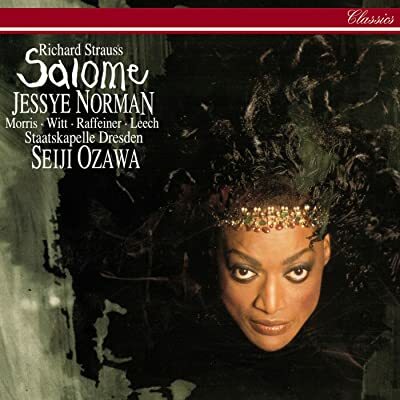 Caballe/Leinsdorf:a weird choice I know, but follow the intention of Strauss for a lighter voice Salome. For curiosity, there is a French version conducted by Kent Nagano worth checking out just for curiosity´s sake. The singing there is often inadequate. Last edited by silentio; Nov-17-2018 at 22:57. About the conducting, he advised that one should conduct "Salome and Elektra as if they were by Mendelssohn: fairy music." Strauss had a wry sense of humor, and it should be obvious that we have to take some of his statements about his work with more than a grain of salt. He'd have had to be seriously delusional actually to think that Elisabeth Schumann could sing his "fairy music," and she must have rolled her eyes (at least internally) at the notion. But she was a glorious Sophie in Rosenkavalier, so maybe that's where Strauss got the idea. Last edited by Woodduck; Nov-17-2018 at 23:48. 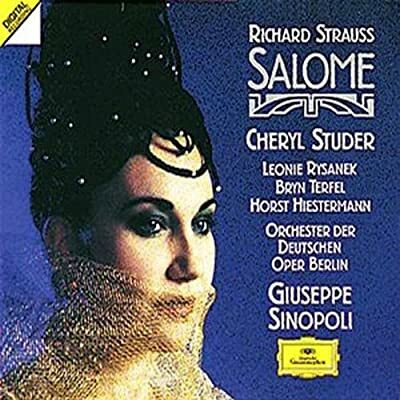 Strauss was probably only half joking, and perhaps trying to make the point that the orchestra didn't have to bee too loud, and that the ideal Salome should have some of the pure silveriness of Schumann in her voice. Welitsch, in her early recordings of the piece, certainly fulfilled that criterion, though all too soon the voice lost its bloom, and you can already hear the change between her 1949 and 1951 Metropolitan Opera accounts of the role. She developed nodules on her voice in 1953 and after having an operation to remove them, reverted to character roles, even playing the speakng role of the Duchess of Cracenthorp in Donizetti's La Fille du Régiment at the Met as late as 1972. Looking at the roster of famous Salomes, a voice of the size and penetration of Nilsson's would appear to be the exception rather than the rule. Past interpreters include Destinn, Jeritza, Mary Garden, Malfitano, Ewing, Josephine Barstow, Caballé and Behrens. I'll add to your list of celebrated Salomes the legendary Maria Cebotari, whom Strauss adored and who can be heard singing the role live in a 1947 Covent Garden performance. The final scene is on YouTube, but the sound is poor, and we can hear her better in a commercial recording she made of the scene. For my money, she has an ideal voice for the role. And how about that strange "concert ending"... Did Strauss write it, I wonder? Last edited by Woodduck; Nov-18-2018 at 18:29. How about Anja Silja, who went on to sing Herodias? I seem to remember a recital recording with her doing the final scene. There is at least one recording of a performance that I have heard but in horrible sound. All times are GMT +1. The current date and time is Apr-24-2019 22:52.